You’re family, friends and co-workers have thrown more parties and functions than the Yankees did for Derek Jeter. Just as you proudly grew your financial nest egg, hopefully you’ve also invested in your health. How do expect to insure a secure retirement without your health? How do you expect to enjoy all of your hard work if you’re going to the doctor the majority of those golden years. 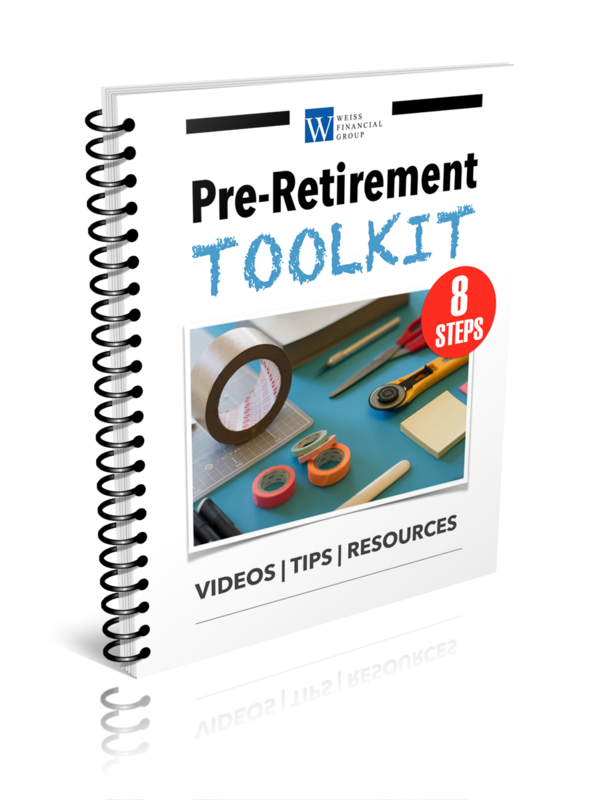 A major life change like transitioning into retirement can be stressful, even if retirement is a happy and welcome change from working. Start now! You’ve already planned for your fiscal future, why should your physical future be any different. Here are 3 tips you can use to stay healthy as you move into retirement and beyond. Regular physical activity also improves functional abilities we need for daily living. These benefits are both physical and mental. Physical activity improves mood and can create more energy. Regular physical activity can reduce your chances of diseases such as cancer and Heart disease. It will improve balance, agility and strength. Older adults can even increase muscle and bone strength through using their major muscle groups at least twice per week. Age means nothing! staying active will allow you to feel healthier and enjoy life more than ever! In the years before you retire, I would suggest developing a routine of regular physical activity that will carry on into retirement. When you retire, your daily routines will certainly change. This change can be a challenge; one of the best ways to adapt to retired life is to follow fun and fresh routines that include physical activity. Do what you love to do. This could mean activities you have done for years, such as walking, swimming or tennis – or something new and different like Training For Warriors or yoga. Find a partner or a group of friends who enjoy similar activities. This can help motivate you! Take advantage of available times while others are working and schedule your activities to avoid busy times on the golf course or ski trails, or at the swimming pool and gym. Be active with your family, take your kids or grandchildren walking, hiking camping, fishing, cycling or even kayaking. Get involved with their lives and what they’re doing. Aim for at least 3-5 days of physical activity each week, remember it doesn’t have to be super intense everyday. Mix your and match your activities, keep it fresh! Are you looking to spend all of you money fixing problems caused by a poor diet? I ask because your diet greatly influences your long-term health. I’m not saying you can’t enjoy yourself and never have some of your favorite (but less healthy) foods. However, you should pay attention to what you eat. Sugar and Ultra-Processed foods are making us fat and shortening our lives. Live happier and healthier by eliminating all processed foods such as grains, sugar and industrial oils. Fruits and vegetables can help your health, as can nuts, fish, and other heart-healthy foods. Also, consider “brain foods” like salmon and blueberries. These can improve your mood and help your brain avoid deterioration. I have profiled healthy food options off of the TFW Warrior 20 nutrition checklist and broken down the foods into Proteins, Carbohydrates & Fats. Avoid spending your money on future medical bills and start incorporating these foods into your diet. Including meat in a well-balanced diet is a way to get a sufficient amount of high-quality protein. You don’t need to give up meat just because you’re trying to lose weight. The key is to stick with lean meats because they contain less total fat, as well as lower amounts of saturated fats. Fatty fish is high in protein and provides heart-healthy omega-3 fatty acids. If it’s not wild caught don’t eat it! Eggs are a nutritional powerhouse. The white packs a lot of high-quality protein and the yolks healthy fats & cholesterol as well as micronutrients like vitamin A, calcium, and phosphorous. If you can afford it, look for local varieties of pasture raised eggs. Try the farmer’s market or gourmet grocery stores. If not, at least stick with organic, cage free, free range eggs. At the very least they weren’t packed into cages and pumped with drugs. These eggs tend to be pricey however your health is worth money. This just in….Carbs are not the ENEMY! If you are a person that likes to exercise (and you all should be that person) then a low-carb diet for a long period of time may hurt more than it helps. Reducing your intake of healthy carbs can lead to a slow metabolism, lower levels of muscle/strength-building hormones & higher levels of stress hormones. As a result your weight loss will probably slow down or stop. Tubers like sweet potatoes are loaded with carbohydrate energy. They are loaded with Vitamin A, which is important in the synthesis of protein. Known as the “mother of all grains” by the Incas. Quinoa is higher in protein than most grains and can be a great replacement for rice. It is also gluten-free making it an option for those of us with gluten intolerance. Beans such as Lentils and Kidney contain complex carbohydrates as well as fiber & protein. Beans are loaded with antioxidants and minerals such as magnesium, iron zinc & potassium. * Beans are difficult to digest so if you are a person that likes to eat beans I would suggest soaking them prior to consuming. Our bodies need healthy fats. They help slow down the digestion process so our bodies have more time to absorb nutrients, and help provide a sustainable level of energy. It has a unique combination of fatty acids that have a positive effect on fat loss and better brain function. Other health benefits include skin care, stress relief, cholesterol level maintenance, boosted immune system, proper digestion and regulated metabolism. Many nuts are rich in mono-unsaturated & omega-3 fatty acids. Omega-3 fatty acids help with inflammation and brain function. Examples: Almonds (almond butter), Cashews (cashew butter) Walnuts, Pecans, Macadamias, Pistachios. Avoid processed nuts as they lose a lot of nutrients instead opt for raw nuts. The same goes for nut butters, avoid nut butters that are high in hidden sugars and hydrogenated oils. Look for the most minimally processed options possible. Examples: Chia, Flax, Hemp and Pumpkin. Start building your healthy diet and DOWNLOAD our Warrior 20 checklist FREE. How often do you say you wish you had more time to do amazing things like drive cross country or sky dive. Well you will when you retire! Retirement opens up doors and once in a lifetime opportunities for bucket list activities to become a reality. You can do anything and become anything that you want. If you’ve always wondered what would have happened if your life had taken a different turn, this is your opportunity to make that turn and see what happens. Today people that adopt a healthy lifestyle can live well into their 80’s and 90’s. So get out and hike the Appalachian Trail , go back to school, learn to play an instrument or open a business like Colonel Sanders who started Kentucky Fried Chicken at age 65! With a healthy body, strong mind and solid planning you can look forward to a happy, active and fulfilling retirement. What’s the Difference Between a Mutual Fund and an ETF? Facts vs. Fiction: How Much Do You Really Know About Long-Term Care? What’s the Difference Between an IRA and a 401(k) for Retirement Savings? 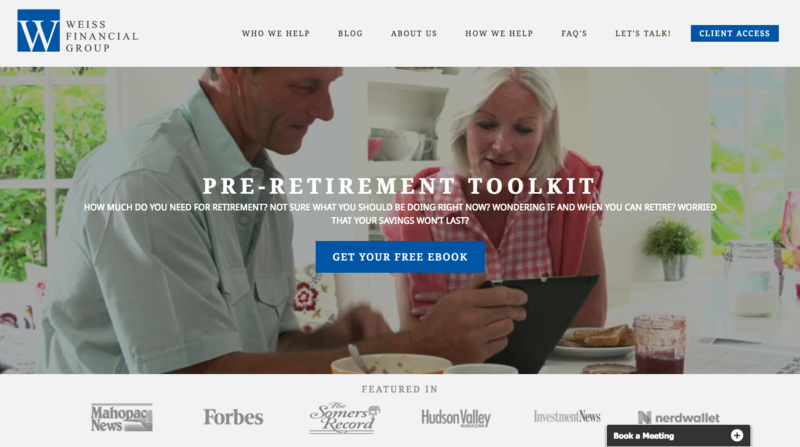 visit weiss-financial.com to learn about our retirement planning & investment services.